We believe wealth management should combine the best elements of a traditional discretionary service with the benefits of a technology-enhanced approach. We have brought together a highly qualified team, a robust investment framework and a range of centrally managed portfolios that enable clients to meet their investment goals, at the same time as keeping the costs of investing to a minimum. In our experience, a helpful way for clients to think about their assets is managing them across three hypothetical pots. These pots tend to represent how they live their lives, thus making financial planning more intuitive and accessible. Netwealth helps clients with Pot 2. Pot 2 is designed to be their 'sleep well' money for investments that may need to help generate a secure income over the medium to long term, such as for school fees, retirement or for elderly care. It is usually funded by savings in ISAs, pensions and general investment accounts. By making sure that Pot 2 is managed in a flexible, transparent and low cost solution, clients are able to access their investments as required, keep track of their bespoke objectives and benefit from the compounding value of keeping the cost of investing as low as possible. All of which helps to increase the likelihood of clients achieving their financial goals and should be expected from a modern wealth management service. Pot 2 is designed to be their 'sleep well' money, which we believe should be managed in a flexible, transparent and low cost solution. By managing Pot 2 in this way clients are able to access their investments as required, keep track of their bespoke objectives and benefit from the compounding value of keeping the cost of investing as low as possible. 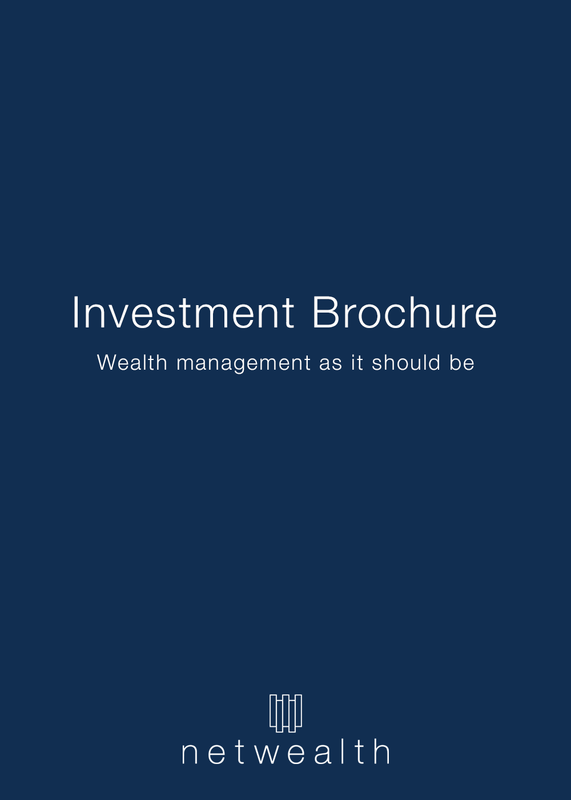 All of which helps to increase the likelihood of clients achieving their financial goals and should be expected from a modern wealth management service. 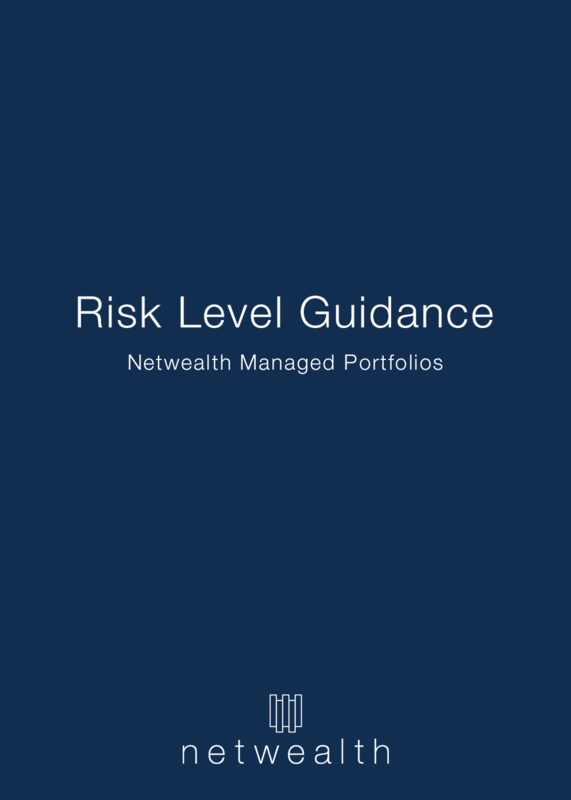 Netwealth’s ambition is to deliver attractive portfolio performance over the medium to long term in order to give clients the best chance of meeting their investment goals. We make active decisions about asset allocation and the appropriate markets to invest in while staying within the client's chosen risk parameters. We access markets predominantly through passive funds and ETFs to ensure high levels of diversification and to help keep the cost of investing low. 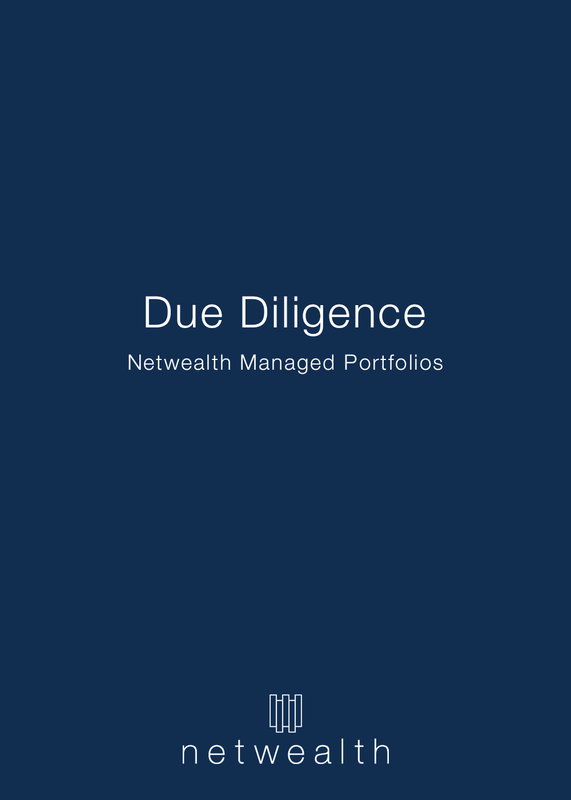 Netwealth has created an investment team dedicated to giving you and your clients peace-of-mind and saving you time. We believe that by clearly defining the processes of financial advice and wealth management we are able to work with intermediaries to help clients achieve their financial goals. 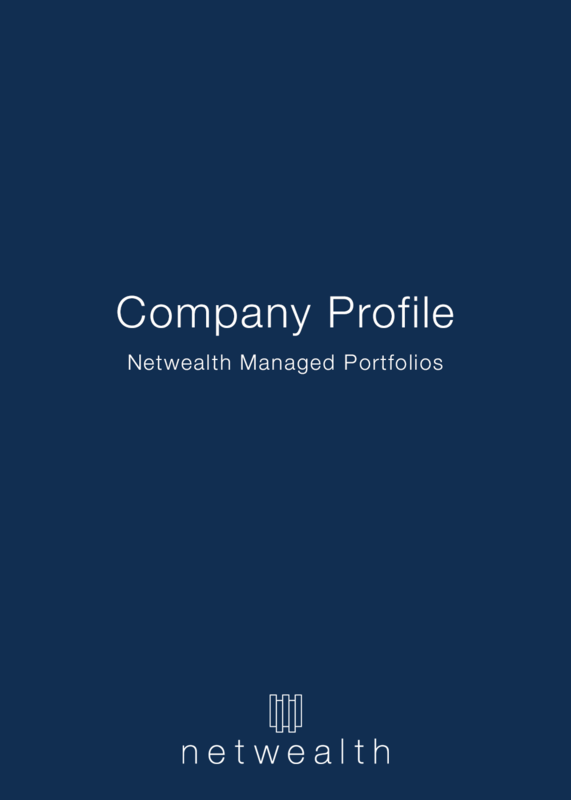 At Netwealth we focus on the key aspects of investing: the team and process that guide the investments and the costs associated with the service. We believe that by concentrating our efforts on these elements, we can truly add value to your investment proposition. This clear definition of roles helps us to deliver on our responsibilities to both you and the client. By concentrating only on the underlying portfolios and leaving the financial planning to you, we are able to ensure that we maintain appropriate levels of risk within each portfolio and allocate sufficient resource to portfolio construction and to the research and selection of investments. The client’s risk profile and investment objective define how we manage their money, and goal-based financial planning is at the core of this process. We rely on you for all the client information we need in order to provide an effective discretionary wealth management service. We believe that by clearly defining the processes of financial advice and wealth management we are able to work with intermediaries to help clients achieve their financial goals. At Netwealth we focus on the key aspects of investing; the team and process that guide the investments and the costs associated with the service. 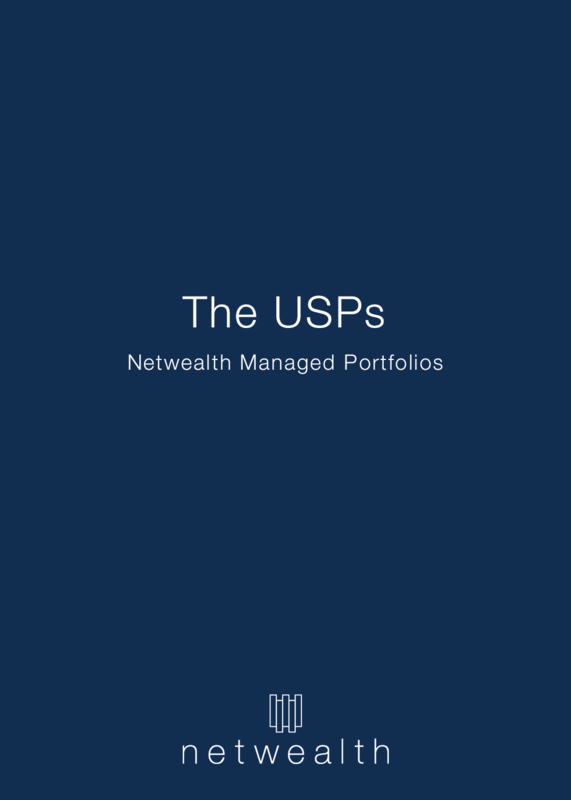 By concentrating only on the underlying portfolios and leaving the financial planning to you, we are able to ensure that we maintain appropriate levels of risk within each portfolio and allocate sufficient resource to the research and selection of investments and to the portfolio construction, all of which can truly add value to your investment proposition. We believe in the long term value of keeping the total cost of investing as low as possible and compounding this benefit up over time. Assumes an annual gross return of 5.0%. * The median UK MPS total charges of 1.05% are calculated as the median AMC of 0.36% (inc. VAT) and the median underlying fund OCF of 0.69% of the DFMs listed in research by Platforum published in their UK Fund Distribution: Model Portfolios on Platform paper in July 2017. 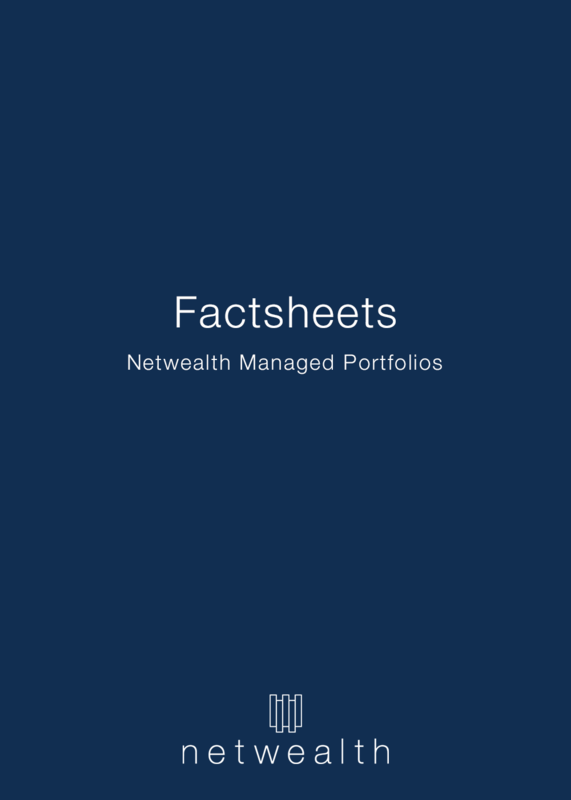 The Netwealth MPS total charges are calculated as the AMC of 0.24% (inc. VAT) and the estimated fund costs of 0.24%. *Other costs of investing are applicable in relation to the friction costs of trading within the portfolios. The ongoing costs of trading are related to the spread between purchase and sale prices of instruments that are bought and sold on behalf of the client by Netwealth on an ongoing basis. The annual costs of trading are estimated to be 0.05%.